It's no secret we are big football fans in this house. Actually, pretty much everyone on our block roots for the same team, our guys in blue & orange, the Denver Broncos! This is awesome because each game day we gather at one another's homes to watch the game together. Everyone brings their best game day snacks and recently, when it was our turn to host, I broke out Mr. B's favorite snack for watching football, an Easy 3 Ingredient Spicy Chicken Cheese Dip. I honestly have been making this recipe for almost 30 years! I got it from a former boss that would make it at least once a week during the Fall and Winter for all of his employees to enjoy while we worked. With just 3 ingredients it is simple enough to make anytime you need a spicy, cheesy take-along to any get together or even just for family movie night! First, I needed to head to my local Walmart to pick up the 3 ingredients to make this. 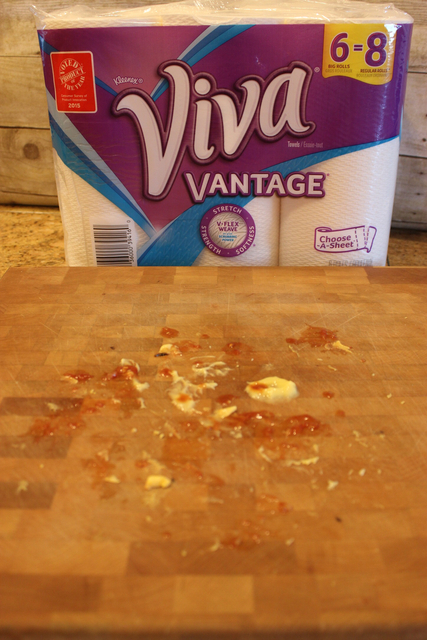 While I was there, I also snagged up a package of Viva® Vantage® 6 Big Rolls to help me keep things clean and to use in place of napkins. They can be found down the paper & cleaning aisle at your Walmart too. Once I got home, I started making the dip. 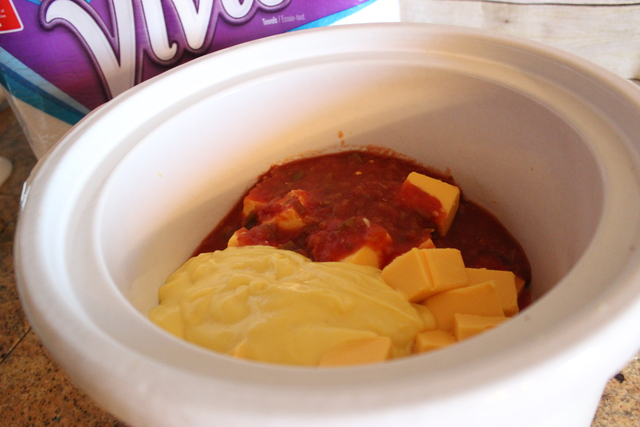 Cut up the cheese block into cubes and place in a slow cooker. Top with the soup and the picante sauce. 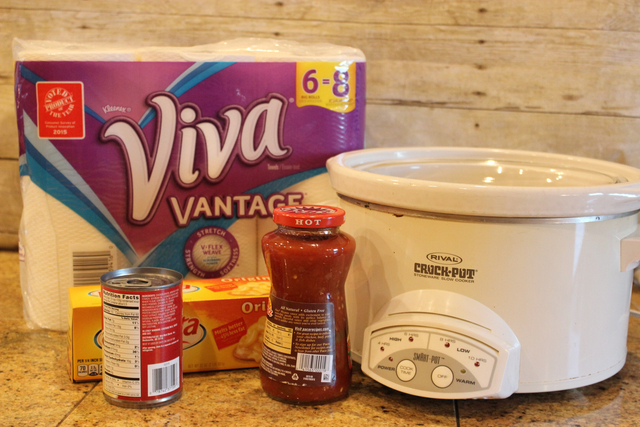 Give it a good stir to mix it all together and set the slow cooker to high (on mine that is the 4 hour setting). Let it cook until the cheese is all melted, about 90 minutes. Serve with tortilla chips. 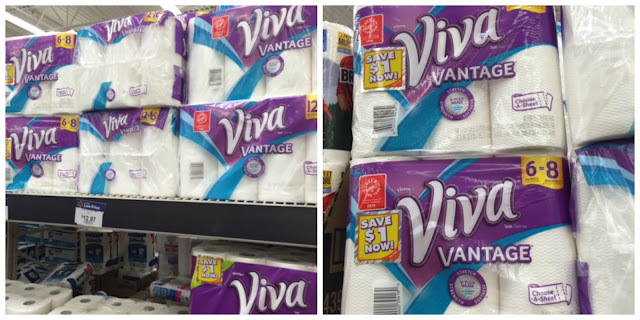 Good thing I had picked up those Viva Vantage paper towels! I had made kind of a mess on my cutting board and I needed to get that cleaned up before our guests arrived. One strong piece of paper towel was all it took and my cutting board was cleaned up like it had never happened! 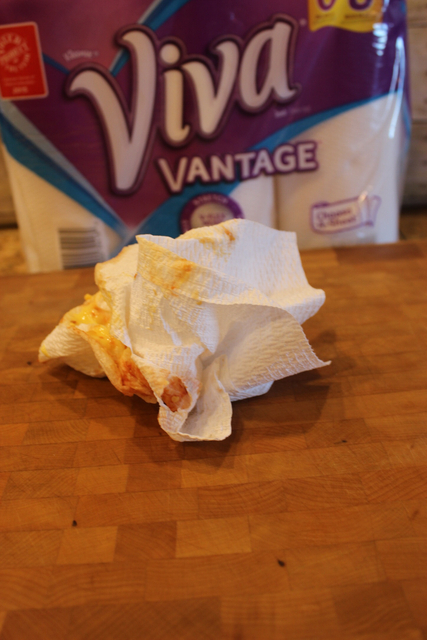 I like how the Viva Vantage towels stay strong even when they are wet. I was #gametimeclean in seconds! You can be too because, right now there is coupon available for $1 off Viva Vantage paper towels when you purchase them at your Walmart. 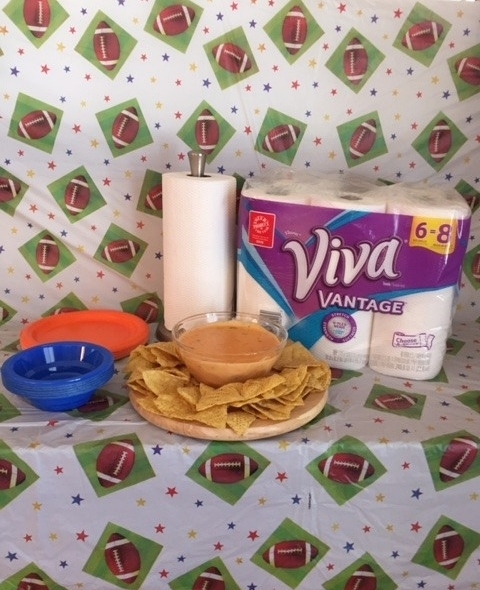 Once the dip was ready it was placed front and center on the buffet that I had set up for game day snacking. Let me know if you make this easy, cheesy, spicy snack for your next game day! I promise, you will be the game winner when you do! This looks so easy and so good! I may make this for our next holiday get together! Thank you for this easy and yummy recipe! Pinned to make and share! Yum. I'll have to try this one soon. This looks YUMMY! And easy too :) Thanks for sharing this!